Camping Du Pasquier är en camping i Dole, Jura, belägen vid en flod/ en bäck. Campingen har platser med stängsel, med skugga, utan skugga och platser med lite skugga. Det finns möjlighet att hyra husbilar. På campingen finns en lekplats. Denna inspektör gör varje år ett besök på Camping Du Pasquier och inspekterar campingen för ca 200 faciliteter och för andra förekommande punkter. Inspektören är en medarbetare från ACSI och arbetar inte för campingen. Lovely quaint town,very historical. As for the manager at the campsite - reading through the reviews, he is just as rude as he was back in 2015! He came at me whilst my husband was not with me on the site and demanded payment by 12 o clock, this was 4pm. My husband had already spoken to the lady in reception and had already paid for the first nightasking if it was ok if we stayed 2 nights and not 1, this was confirmed by her and she didn't ask for any payment then,only on leaving. There was no need of the managers rudeness. We spent one night here on our way to Portugal. The location is wonderful between river and canal. The city of Dole is very beautiful, so we are going to come back here for a better look on it. Interesting old town short walking distance away. Some pitches small and others a good size. Pebbles or grass surface. Beware of being allocated a pitch although a change of pitch is permitted at any time if available. Water and electricity points are a long way from some pitches whist close to others. Free Wi-Fi but band width on pitch not good and not usable. Good WiFi close to mast. Do read on, but not a great start at this one, got there at 12.25 only to find out that reception was closed until 2.00. The staff must have known there was a queue of campers and caravans but did not open the shutters until a minute past the hour, NOT GREAT CUSTOMER SERVICE! Having had the moan, I have to say it was worth the wait. there are two shower/toilet blocks, one is a bit old but perfectly adequate for me at least. The pitches are Ok with trees and hedging, but what really makes it a great site is the town which is within walking distance and is worth a visit, GREAT LOCATION. Dole is a lovely town, with a pleasant riverside, interesting Pasteur museum and good little shops. However, sadly, I do not recognise the descriptions of the site that recent reviewers have written The town is a very convenient location for a stopover if you are heading to the south of France, however...... 1 The entrance to the site was chaotic with outfits all over a small area outside the one barrier with people not knowing who was meant to be where 2. Queues at reception (where the young lady was very friendly and helpful) meant we had to wait 35 minutes before we were seen 3. Possibly because it is so busy the pitches were too small and crowded 4. There were insufficient electric points - but loads of water points 5. The Sanitaire needed refurbishment and a good clean 6. Wifi was free but didn't have enough bandwidth so it was pretty impossible to actually get on to the Internet. The location of this site makes up for the small pitches - walking distance into Dole the most enchanting medieval town & to Geant hypermarket & lovely cycle/walk along the canal. Don't arrive before 2 tho as reception is closed from 12 til 2. As mentioned in previous review the toilets do not have seats & the toilet paper is in a communual roll - this ran out our first afternoon I did mention it to reception but it wasn't replenished til the next morning but the most annoying thing is no means of drying your hands after visiting the toilet - how easy would it be to out a paper towel dispenser next to the communual toilet paper it is most annoying to have to take a towel with you on each visit to the toilet. The staff in reception are very friendly and helpful but the manager/owner is the rudest man I have ever encountered - he was rude to my husband 5 minutes after we arrived whilst he was filling our water tank and was actually abusive to me the following morning he actually reduced me to tears on my holiday. A lesson in customer service wouldn't go amiss. What a gem of a place. The campsite was quite in April and good pitches. Shower block very good and clean. The town of Dole is a gem! This was really just a stopover for us, but the town was very old and interesting. Raynaud III passage - quite unexpected. It was like going back 300 years. Would recommend a stay at at this site. English speaking staff. Would definitely use again. Vill du boka campingen Camping Du Pasquier eller få mera information? Det går bra med nedanstående uppgifter eller via campingens webbsida. 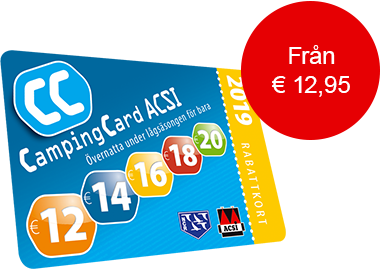 ACSI Eurocampings skickar din informationsförfrågan till "Camping Du Pasquier".